Pregnancy is an exciting time for many women, but it can also be a scary time. While most pregnancies proceed without a hitch, it can seem like the minute you become pregnant, everyone has a horror story to share, causing room for concern. Fortunately, there is usually not much to worry about, but it’s a good idea to examine your pregnancy fears and find out how common they are. Almost every pregnant woman worries about the health of the baby. In the first few weeks, you might be afraid that you’ll miscarry. Miscarriages are relatively common, but they’re a sign that something wasn’t right with the pregnancy to begin with. The baby probably had something like a chromosome abnormality or another problem that would have made life not possible. Mothers also often have a lot of stress until the “anatomy scan” that usually occurs around the 19th week of pregnancy. It’s at this time you’ll find out whether the baby is having problems growing. For example, you might find out that the child likely has Down’s Syndrome or that his heart isn’t forming properly. Though problems are rare, it’s helpful to learn about them because you can then be prepared. For example, when a child has a heart problem, finding out about it at the anatomy scan means that doctors will be on hand immediately after the birth to perform surgery. Even when a pregnancy is going smoothly, a mom is likely to worry that she’ll do something to hurt the baby. Though miscarriages usually happen for reasons we’ll never know, any woman who has experienced one has likely obsessed over what it was she did to cause it. Little things like cleaning the cat litter or eating the wrong types of foods can lead to problems, and in the later weeks, women start to have a hard time with balance and become more likely to fall or to bump the stomach. Again, in most cases, there is nothing to worry about, but if something happened that you’re worried about, you can ask your doctor to perform a check. No one knows what really to expect the first time she goes into labor. Even a second or third time, labor can feel so different that it isn’t easy to recognize. This is one of the reasons that most women fear labor on some level. While it’s true that labor is likely to be painful, the best thing to do is to become aware of the many methods of dealing with that pain. Taking a labor class can make you feel more prepared for the day and give you several techniques that can help you manage the pain, such as breathing or changing your position. In addition to this, hospitals can offer a variety of medications to help make things bearable. The media always makes big news out of a time when someone delivered her baby in a car or on the subway. Not making it to the hospital in time thus becomes a very common fear. 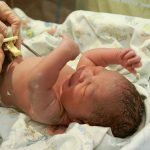 This can become especially true in cases where the hospital is far away, when the baby is due during a time that is potentially very snowy, or when it’s not the first baby and labor is likely to be much shorter. Couple this with a fear of getting to the hospital too early and being sent home, and you have a big stress. The best way to deal with this is to practice the trip to the hospital and try to relax about it. Map out the best route to the hospital and look for alternatives in case there’s a traffic jam or accident. Talk to your doctor or midwife about your fears and feel free to call the hotline if you think you might be in labor. It’s always better to be safe than sorry. 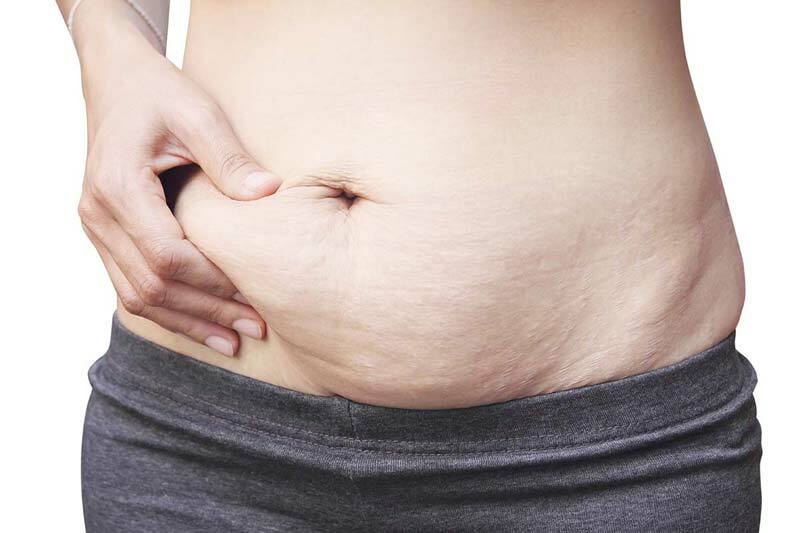 A woman’s body goes through a lot of changes during her pregnancy, and it’s very common to worry that you’ll never look as good as you looked before you got pregnant. In some cases, this is true and you’ll have to make peace with your post-pregnancy body, stretch marks and all. However, if you try your best to eat healthy foods during your pregnancy, you’ll be able to gain the optimal amount of weight, which will make it easier to lose the weight once you have the baby. Those who gain only 20 to 35 pounds often lose most of that weight naturally within a few months after the pregnancy. Don’t suffer in silence. If you’re having a lot of fears about your pregnancy, take the time to share those fears with your partner, your friends and your doctor. You’re likely to find that your fears aren’t so uncommon after all.